"Tsipras continues wounded, until further notice," the front page of left-leaning Efimerida Ton Syntakton said. 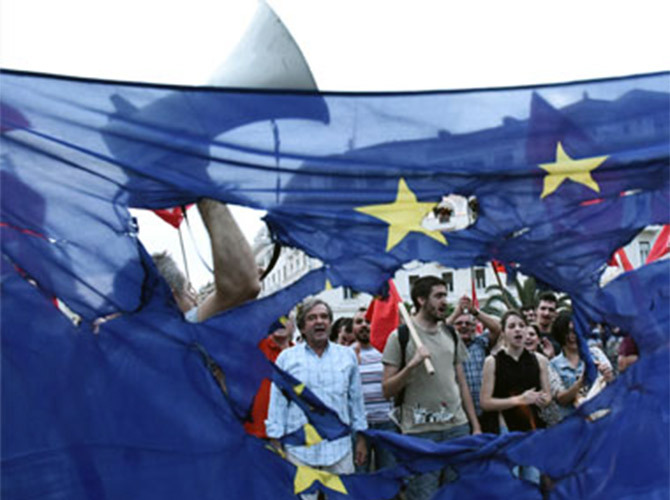 Greece awoke with a political hangover on Thursday after parliament approved a stringent bailout programme, thanks to the votes of the pro-European opposition, amid the worst protest violence this year. The vote, vital to unlocking emergency financing from European partners as early as Thursday, left Prime Minister Alexis Tsipras weakened by a revolt in his leftist Syriza party but clinging to power for now. The European Central Bank's governing council, meeting in Frankfurt, was expected to ease its funding squeeze on shuttered Greek banks, the first step towards permitting them to reopen after nearly three weeks' closure while cash rationing and other capital restrictions will remain in place. European finance ministers were to hold a conference call on Thursday morning to agree on a plan for 7 billion euros in bridging funds to enable Greece to meet its immediate debt service needs and avoid defaulting on the ECB next Monday. All 28 EU countries are expected to contribute, despite the reluctance of non-euro members such as Britain and the Czech Republic, after a compromise was found to use euro zone funds to guarantee their ring-fenced contributions. Tsipras won 229 out of the 300 parliamentary votes in favour of the agreement he struck on Monday with euro zone partners on austerity measures and liberal economic reforms tougher than those rejected by voters in a July 5 referendum. Some of the key measures, including an increase in value added tax, take effect immediately, although it will only be extended to hotels in October, after the tourist season. 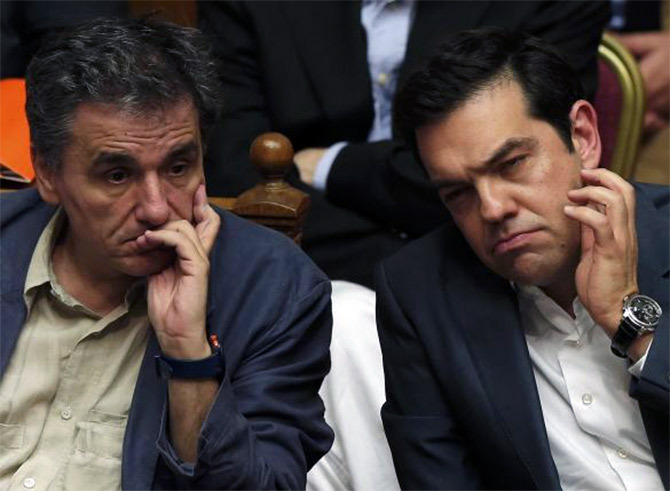 But 32 out of his radical left Syriza's 149 lawmakers voted against the plan, six effectively abstained and one was absent, leaving the government without a majority of its own supporters. "Tsipras continues wounded, until further notice," the front page of left-leaning Efimerida Ton Syntakton said. "Governments fall when they lose the support of the people, he says." Among the dissenters were four members of the government, one of whom resigned, the speaker of parliament, and outspoken ex-finance minister Yanis Varoufakis, who compared the Brussels deal to the 1919 Versailles Treaty that imposed unpayable reparations on a defeated Germany after World War One. Tsipras told lawmakers he had accepted a package he did not believe in and which would harm Greece, but the only alternative was a disorderly bankruptcy that would be more catastrophic. "I acknowledge the fiscal measures are harsh, that they won't benefit the Greek economy, but I'm forced to accept them," he said before the vote in the early hours of Thursday. He is expected to reshuffle his cabinet to remove dissident leftists but he has ruled out early elections and said this week the captain does not leave the ship in a storm. German Finance Minister Wolfgang Schaeuble, one of the toughest critics of Greece in the euro zone, said on German radio he still believed Athens would do better to leave the currency area temporarily to receive a debt writedown. But Schaeuble said he would vote in favour of opening talks on a third bailout loan for Greece "with full conviction" when the German Bundestag debates the plan on Friday. "We are a step further," Schaeuble told Deutschlandfunk radio after the Greek parliament voted to approve the entire package demanded by European partners. "This is an important step." He said it would be hard to make Greece's debts sustainable without a "haircut" or writedown on the principal by European lenders, which Berlin says would be illegal under EU treaties. The International Monetary Fund highlighted the issue in a stark report released this week, saying the only alternatives to "deep upfront haircuts" would be for European lenders to grant Athens a 30-year debt service holiday on present and future loans or make large annual fiscal transfers to the Greek budget. 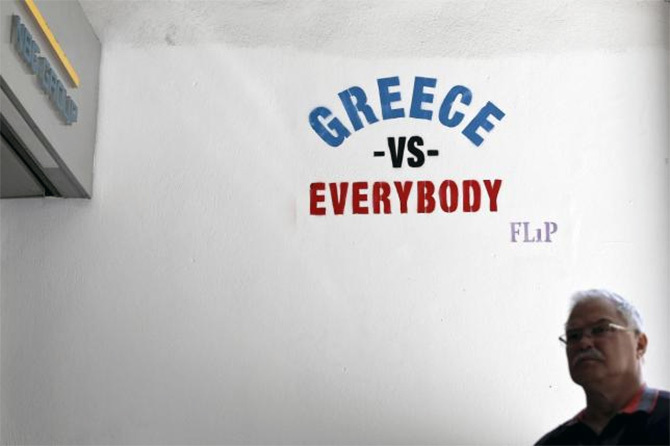 All those options are deeply unpalatable to German and other euro zone creditor governments that do not want to tell their taxpayers that the money lent to Greece is not coming back. Klaus Regling, head of the euro zone's bailout fund, said he expects it to contribute 50 billion euros to the third bailout of up to 86 billion euros. 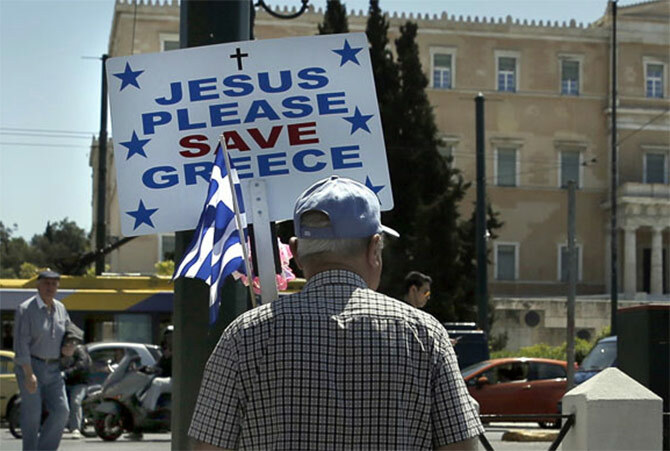 "If everything should fail, then the Greek banking system will collapse," Klaus Regling, head of the European Stability Mechanism, told German broadcaster ARD. The rest would come from 16 billion euros in remaining undisbursed IMF funds, once Athens has cleared arrears to the global lender, as well as privatisation receipts and possible limited borrowing on the market near the end of the three-year programme. In Athens, cleaners removed overnight the debris of a pitched battle on the central Syntagma Square outside parliament between black-masked anti-bailout militants and riot police. Protesters threw dozens of petrol bombs and hurled stones at the police, who responded with clouds of tear gas. Tsipras won the vote thanks to the support of the centre-right New Democracy, centre-left Pasok and centrist To Potami opposition parties. 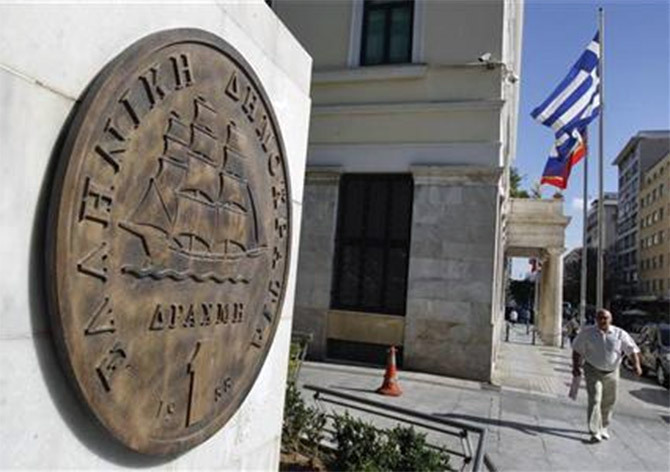 "The responsible opposition assumed the burden to rescue the country as did the prime minister, even though it was at the last minute," the conservative daily Kathimerini said in an editorial. "He deserves credit for this, but he lost the support of a large part of his party's lawmakers." "He now has the big responsibility to ensure the country will have a government that keeps its pledges to creditors and implements them. Otherwise, his bold step will stall and with it the country’s European prospects," the paper said.